Do you use R? Please help inspire my students! I am teaching a class on bioinformatics in R. The students are a mix of undergraduates and graduate students. They are all biology students, but their interests vary a lot (ecology, molecular biology, physiology, microbiology, evolution etc). I would like to show them that many different people use R for many different purposes. It’d be great if you could answer these questions! I’d need the responses by September 25th. I will share all answers on my website (unless you don’t want your information in a public place). (added note on Sep 10th) I am hoping to get many different answers from people who work in different parts of biology, who represent different genders, countries, ethnicities and years of experience. What is your name and your main research interest? Did you publish a paper for which you did the analysis in R? Did you also make the figures in R? Please add a link to the paper / figure. How long have you been using R? Do you remember how you got started with R? What helped you most to learn R? (if it was an online resource, please include a link). What is your favorite aspect of using R? What aspect do you not like? Do you have any tips for someone who is starting to learn R? If you’d like to include a link to your website and/or a picture of yourself, that would be great! 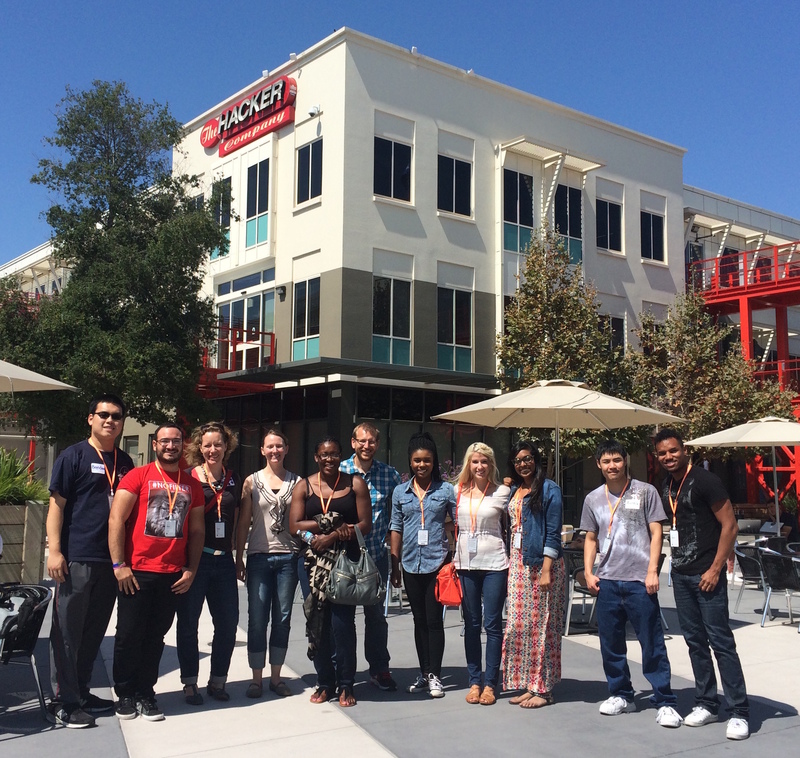 Stanford and Facebook welcome biology students from SF State! Our names are Patricia and Julia and we are both studying biology at San Francisco State University. 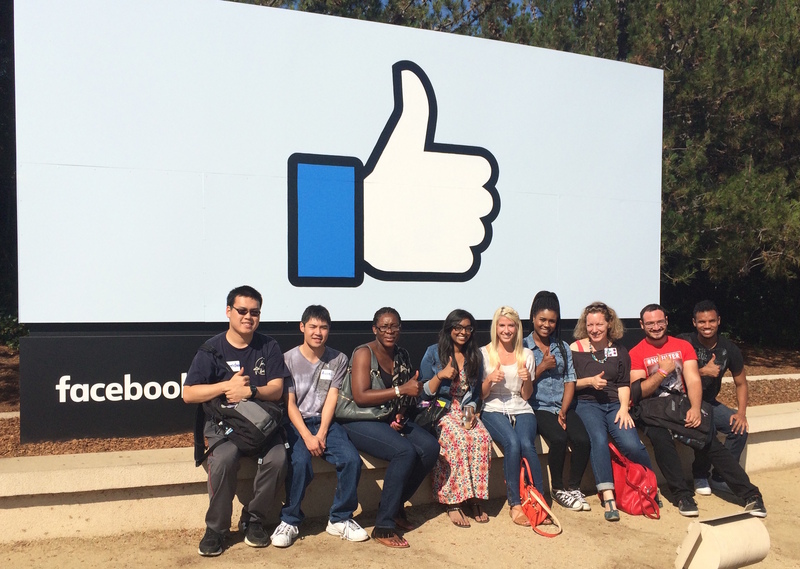 Last week we, alongside our lab group members Kadie, Austin, Brendan, Pedro, Farheen, Dwayne and Dr. Pennings, went on an excursion to Stanford and Facebook. Coming to Stanford we were nervous and excited to visit such a prestigious university. Our hosts in Dmitri Petrov’s lab made us feel very welcome right away. We began our day by listening to Alison Feder’s current work with Dr. Pennings about drug resistance mutations compartmentalizing in various organs. We were astonished to learn just how long she had been working with R programming (since high school!). Most of us are upper classmen and are just now getting introduced to it. Afterwards, we met Ben Wilson who was doing computational/mathematical modeling. He informed us that many cancer researchers were also interested in his work. This is due to the idea of sequencing tumors when excised to see if resistance mutations occur to then better tailor treatment plans for patients. Lastly, we met Sandeep Venkataram, who worked in the wet lab with yeast cultures. His work focuses on using artificial evolution in yeast to predict the outcomes of compensatory evolution. We thought it was interesting that although they were all PhD students in one lab they each had their specific interests and projects. We ended our visit with lunch outdoors, being joined by Dr. Pennings’ son Max and Julia his nanny. All summer we have felt that we have been getting closer, and our cozy outside meal made us feel like a little science family. Next, we went to Facebook. This trip was inspired by the Udacity class we have all been taking online to learn R programming taught by many individuals at Facebook. As we entered, our eyes widened seeing the “city” within. Name any service you need and they have it! From arcades to help you unwind to a dental office to take care of that toothache :). 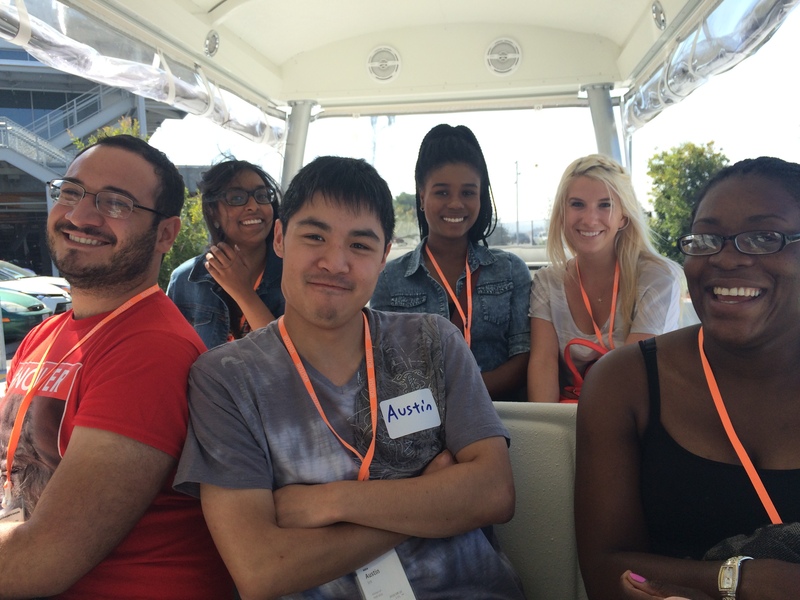 On our campus tour we saw everything from arcades to an eleven acre rooftop garden. This place really was utopia. After touring the headquarters main area we got to check out the newly constructed building 20 across the street. This is where Dr. Pennings’ husband, Andreas Gros, works with other data analysts. We were lucky enough to sit in on a Q & A with some of Facebook’s finest. Since each host had their own specialty/department we got a good look into many of the company’s dynamics. Our favorite question was “How do I get a job here…No but really?” We had such a great time speaking with Moira Burke, Dean Eckles, Andi Gros, Smriti Bhagat and Carlos Diuk. Overall our lab had an amazing time meeting new people and getting an inside look into the daily lives of the people behind our favorite social network Facebook, and one of the best schools around in Stanford. This experience would not have been possible if it wasn’t for our hosts, Alison Feder of Stanford and Moira Burke of Facebook! Thank you for taking time off from your projects to host us and allowing us an insight into your lives! We greatly appreciate it. Listening to our wonderful presenters from Petrov’s Lab. 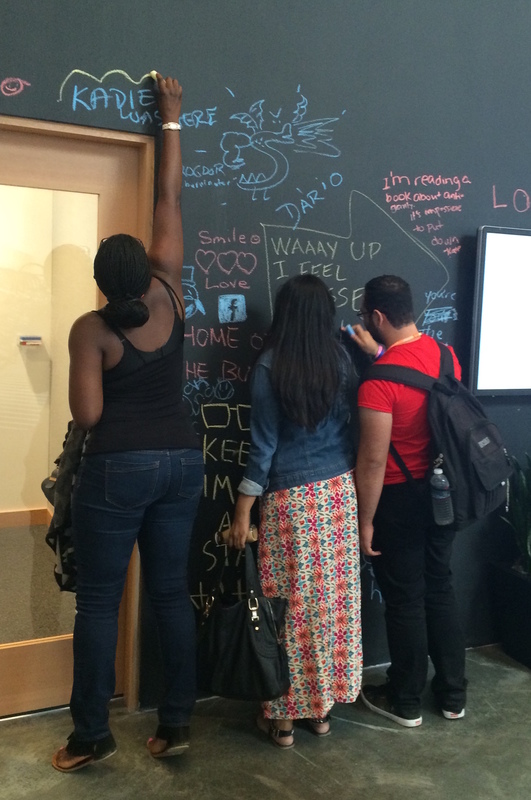 We got to write on Facebook’s “wall”. On our way to the rooftop garden. 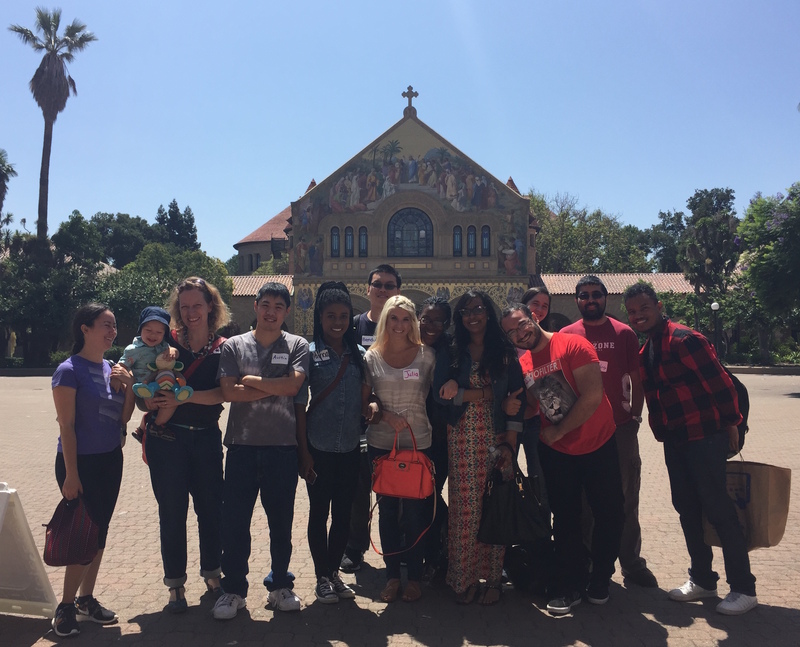 In front of the Stanford Memorial Church located on the main quad at the center of campus.